Stillwater Stables - CASH DONATIONS Stillwater Stables is a 501(c)3 nonprofit organization and we need people like you to invest in the lives of the children and teens who come to the stables so they can have the opportunity to have a life-changing experience through working with horses. Horses are expensive to feed and take care of and we have a lot of needs, but by working together we can continue to reach these young lives and make a difference. Won't you please consider partnering with us in our mission by making a donation? Any amount will be greatly appreciated. Currently, we are set up to receive donations in the form of cash, check, money order, credit/debit cards and "in kind" through our main office. To Make a Secure Credit Card Donation by PayPal click the Donate button below. Please note that you do not have to have a PayPal account to make a donation using a credit card. Ignore the Login to your PayPal Account and look for the option to use your credit card without a PayPal account.If you would like to send your donation in the mail, please make it to "Stillwater Stables" and send it to the following address: Stillwater Stables1465 N. Webb Rd.Wilmington, OH 45177 If you have additional questions, please contact our office at 937-383-7793 or email Mike Patrick, mike@stillwater-stables.org Stillwater Stables is a non-profit organization classified as a 501 (c)(3) by the Internal Revenue Service. Our federal tax identification number is #26-2967379. If you would like to receive a contribution receipt, please include your name and address with your donation. If you would prefer not to receive a contribution receipt, feel free to note that with your donation as well. 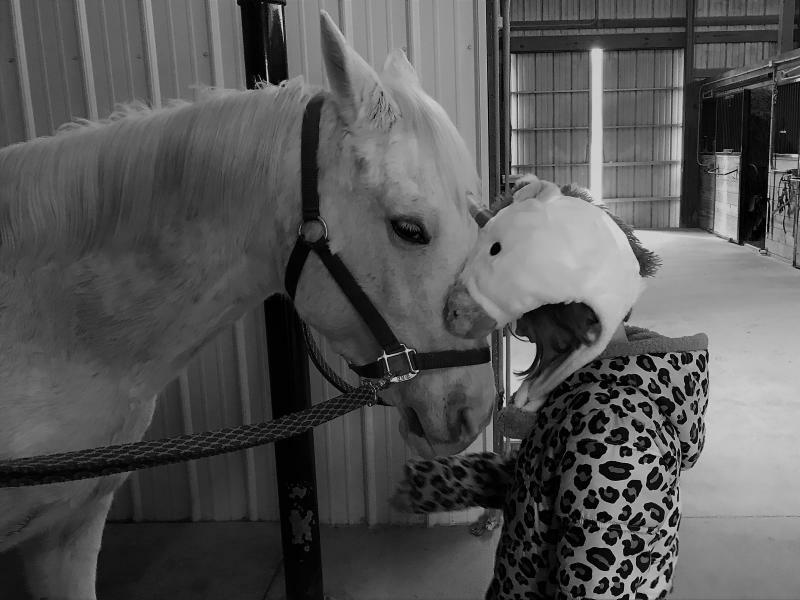 Stillwater Stables is a 501(c)3 nonprofit organization and we need people like you to invest in the lives of the children and teens who come to the stables so they can have the opportunity to have a life-changing experience through working with horses. Horses are expensive to feed and take care of and we have a lot of needs, but by working together we can continue to reach these young lives and make a difference. Won't you please consider partnering with us in our mission by making a donation? Any amount will be greatly appreciated. Currently, we are set up to receive donations in the form of cash, check, money order, credit/debit cards and "in kind" through our main office. To Make a Secure Credit Card Donation by PayPal click the Donate button below. Please note that you do not have to have a PayPal account to make a donation using a credit card. Ignore the Login to your PayPal Account and look for the option to use your credit card without a PayPal account. Stillwater Stables is a non-profit organization classified as a 501 (c)(3) by the Internal Revenue Service. Our federal tax identification number is #26-2967379.